This post is sponsored by Names.org but all opinions are my own. I brought Natalie for the first time when she was one. 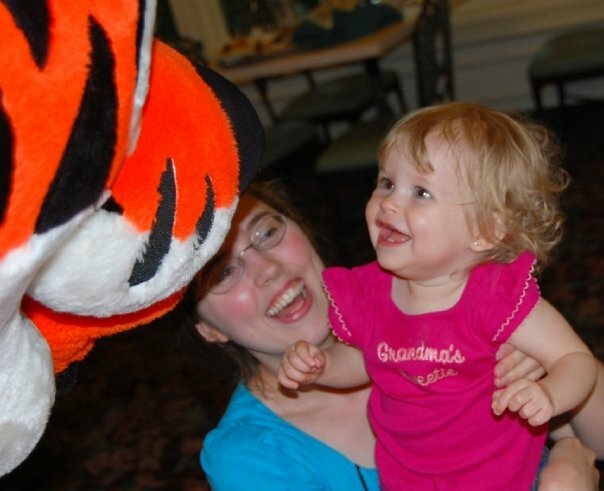 I was worried she'd shriek and scream at the characters, but no, she wanted to go with Tigger. It's no surprise that Disney movies has inspired baby names! For example, Flynn is ranked #17 in the names inspired by Disney. Abu is also on the list. 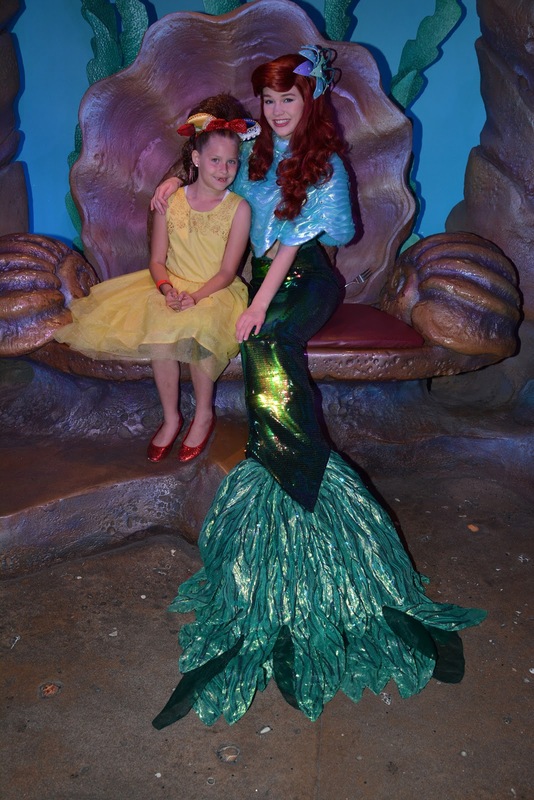 One of the most popular names is Ariel. I've always loved it. Aurora is another gorgeous one. I actually thought about naming Natalie Aurora but my husband said no thanks. Oh well. Would you name a baby after a Disney character? Or have you? What's your favorite name on this list? 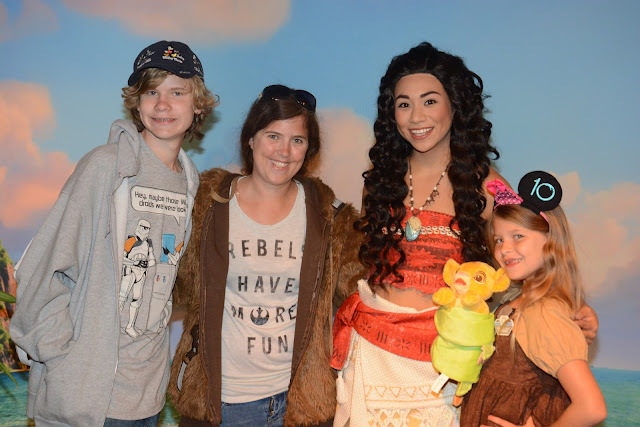 We are a tried and true Disney family for sure!!!! I love this! Names are fun! I never thought about Disney inspired names! I love Sebastian, Felix and Ariel! I am living in the other side the earth. Disneyland is far from where I live but a dream to visit one day. I always love to keep up with the latest name trends and Disney certainly inspires loads of baby names. My kids have always loved Disney and now we've taken the grandkids several times. We're due for another trip soon. I am a huge fan of Winnie the Pooh. My youngest almost got accidentally named Christopher Robin because my Mom was trying to be helpful and filling out paperwork for us. We know some who have named their kids after a disney character. We didn't do any of that. Interesting to see the names and how they ranked from the movies. I love names. I think I heard Wendy was a name invented by the author of Peter Pan, not by Disney, but I guess technically every Wendy is named after that character! It's funny what people name their children. I know Disney is a big part of that! I mean if you look back to when the little mermaid came out how many people are now Ariel from that movie? I would have never imagined that some of those names would have even made the list! I was 8 when The Little Mermaid came out, I wanted my name to be Ariel so bad! I went to a super small elementary school, and I remember writing Ariel with my last name on my papers. Hahaha. I never thought about naming my daughter that, although it would have fit perfectly, as my youngest is a red head. I loved the name Lollie from the Princess and the Frog, but I wasn't having any more kids. My oldest, Maizie, is named from the movie Uncle Buck and my youngest, Stella-Blue, is named after a Grateful Dead song. I've always loved some of the names for the Disney movies. One of my favorites was Ariel and Simba from Lion King. Is it weird that I know a friend who named her son Sebastian because of her obsession with The Little Mermaid. Too funny. There are a few cute names. Belle, Aerial and even Moana. I know after seeing the list I would fail at trivia if I had to name 10 names. I don't think I would name a baby after a Disney character, even though I love visiting the parks. Of course, some of those names (like Charlotte and Violet) could be family names or historical names without involving Disney. I love Aurora for a name too! I have never been to Disney, but I want to go soooo bad! My little girl is 2, and I've been told that it will be better to wait until she is 8 or so, so she can handle all of the walking and the heat, but I don't know if I can wait that long! LOL. I think some of the disney princesses' name are pretty common. The princess in England is called charlotte for example. I love disney! it is always so much fun to go there for the day! I really like several of the names in the movie Brave! I'm shocked that the horse in Tangled has more babies named after him than the girls in Frozen! My girls would want to be named after fierce characters, for sure, if it came down to Disney only. I think my parents wanted to name me after Goofy. I have to admit that I love Disney but I've never thought about naming a child after a character, but then of course it isn't something I've put much thought into. I love a good Disney movie and I love that lots of baby names are Disney inspired!! I know my fair share of Auroras!! I love Disney movies, but I don't think I'll name my kids after a Disney character. I like it that my kids don't run into other kids with their same name all of the time. Its funny how names can play a big role in our lives. Neverthless, it was a well described article. cheers! 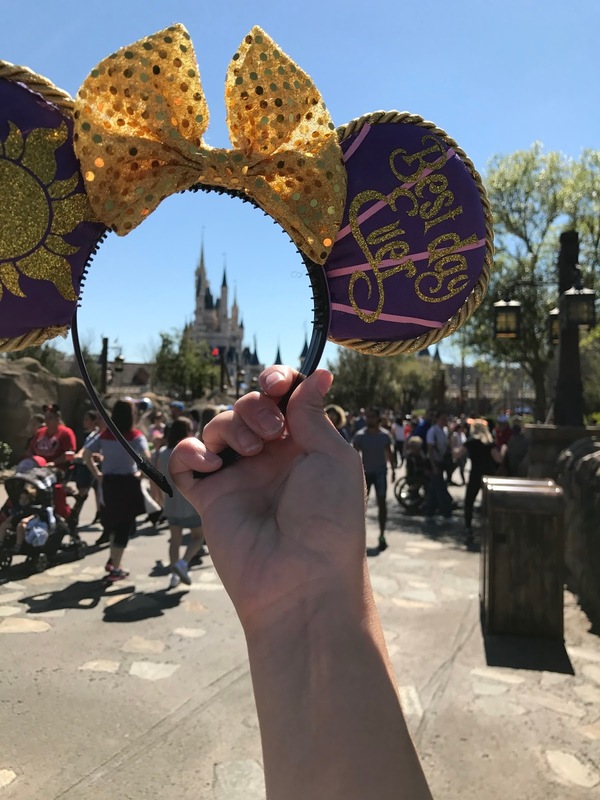 Disney is indeed the happiest place in the world. Kids and adults alike find it great fun. Happy to see the smiles on the faces of kids, such a great experience. Since I was a kid I am fond of Disney movie. Lion King and little Mermaid are one of my favorite. I like Vaneloppe, she was a good character in the movie. I don't think I would name my baby a Disney character. Disney inspire others with lot of baby names.These pictures are so beautiful.I am glad that I came across the latest baby name trends! Ariel being at the top of the list doesn't surprise me. Although I haven't used Disney for names before, I HAVE used TV shows. Aww this is so cool! I love the idea of using a Disney character's name for your child. Ariel was always my favorite princess, so I'm bias but I love that name! Well, I am a bit old to still be having babies, but if I were to suggest names for future grandchildren, I would love to name a baby girl Tiana and a baby boy Kenai. 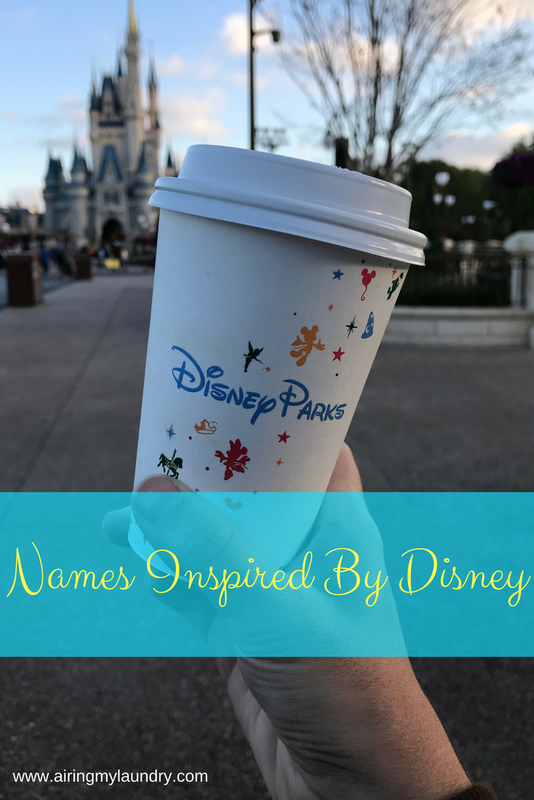 So many nice Disney inspired names in this list! We named our son Sebastian because I was obsessed with the Little Mermaid. PS: Loving the smiles from the kids while at Disney. They say it's a magical place! I have a friend who named her kids inspired by Disney movie names too. I guess they are just to cute too so why not. I love the names Koda, Ariel and Hallie. Esmerelda huh? This is really interesting. I had no idea now big a pull Disney had with naming babies! My nest named all four of her children after Disney. It is so adorable and they love to hear they names when watching children movies. That's such fun. I photographed a baby Aurora recently and wondered if she was named for the Princess! Or the northern lights.